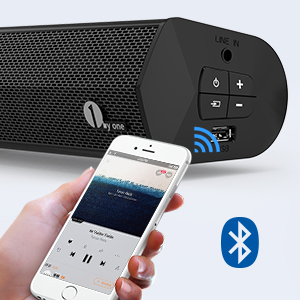 Wireless Bluetooth Connectivity: Wirelessly play music from a laptop, smartphone, tablet, or MP3 player using Bluetooth. 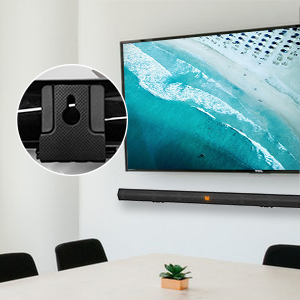 Flexible Mounting: An advanced, slim design allows for convenient placement in an entertainment setup, under a television or to be mounted on a wall. Crisp High-Quality Sound: 2.0 channel dual 20w speakers specially tuned for excellent high treble sound. Multiple Connection Ports: Connect using Aux (RCA), Line (3.5mm) and Optical (SC) inputs. Press the LINE/AUX/OPT button to select the preferred source input. 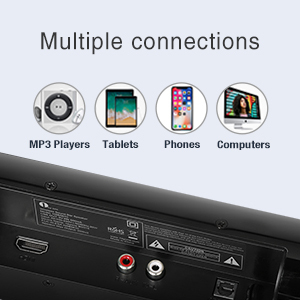 Enjoy a hassle-free connecting using Aux (RCA), Line (3.5mm) and Optical (SC) inputs. Press the LINE/AUX/OPT button to select the preferred source input. 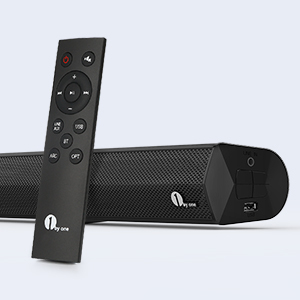 Can I connect bluetooth headphones to the soundbar to listen to the tv? No, you can't. You can connect it to your mobile phones via the Bluetooth connection.